Australian foreign minister Julie Bishop has called for the truth to be revealed about the fate of Holocaust hero Raoul Wallenberg. Australian foreign minister Julie Bishop has called for the truth to be revealed about the fate of Holocaust hero Raoul Wallenberg, after news of an initiative to persuade Russian President Vladimir Putin to return the remains of Australia´s first and only honorary citizen, for burial alongside his parents in Sweden. With new details of his demise in a Soviet prison coming to light, Bishop this week described the Swedish diplomat as "a courageous hero who saved so many people from the murderous Nazi regime", telling The AJN, "I support the efforts to determine his fate following his arrest in 1945 and I wish the Wallenberg family every success in seeking to close the chapter on Raoul Wallenberg´s extraordinary life." In Hungary in 1944, Wallenberg issued protective visas that saved tens of thousands of Jews from transportation to Auschwitz. But apparently suspected of espionage against the Soviet Union, he was last seen in Soviet custody after its army entered Budapest in January 1945. The diaries of a senior KGB official - the secret-police head, Ivan Serov - reportedly discovered in the walls of his Moscow summer house which his granddaughter was renovating four years ago, have just been published. In the diaries, Serov, who died in 1990, apparently gave the clearest account so far of Wallenberg´s demise. New information seems to indicate Wallenberg was executed by lethal injection at Moscow´s Lubyanka prison in 1947 on orders that can be traced to Joseph Stalin. 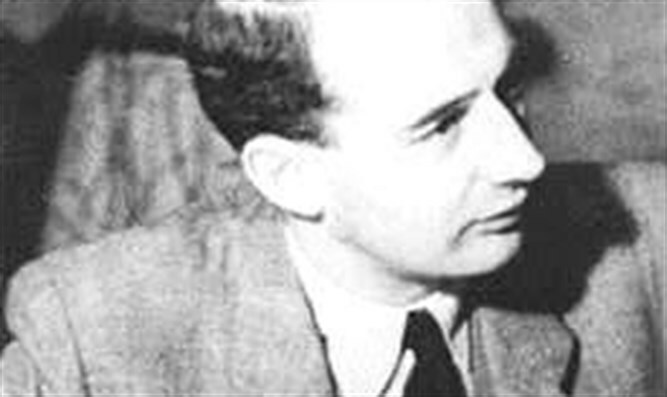 In an open letter to Putin, signed by Eduardo Eurnekian and Baruch Tenembaum, respectively the chair and founder of the International Raoul Wallenberg Foundation (IRWF) in New York, both officials have offered "to meet with you and your staff and coordinate all the necessary arrangements to facilitate Raoul Wallenberg´s return home". However, child survivor Professor Frank Vajda, an acclaimed Melbourne neuropharmacologist, whose life was saved by Wallenberg, is sceptical about the campaign. As a nine-year-old in Budapest in 1944, Vajda and his mother were in a group of Jews about to be -machine-gunned by the -pro-Nazi Hungarian Arrow Cross for not wearing the Star of David, when Wallenberg convinced their captors to release the group. Although he lost his family as the Shoah gripped Hungary, Vajda made it to Australia, where he now runs the Australian Pregnancy Register for pregnant women with epilepsy. Vajda was a key campaigner for Wallenberg to be made an honorary citizen of Australia, and in 2013, then prime minister Julia Gillard conferred Australia´s first honorary citizenship on the Swedish envoy, citing his courage and humanitarianism. In his autobiography Saved To Remember, Vajda recounted his childhood horror. The book was launched in June by federal frontbencher Josh Frydenberg, whose Kooyong electorate is the location of a memorial to the Swedish hero. Frydenberg told The AJN this week the diaries "may be the missing link in understanding what transpired following the Soviets´ arrest of Wallenberg. It is only fitting, given this latest development, that the search goes on to find his remains. It is the least we can do for a man whose moral courage was a beacon of light in a very dark period." But Vajda told The AJN he doubted Wallenberg´s remains would be repatriated, as he had probably been cremated. He is also sceptical that Serov´s diaries surfaced -accidentally. "Unfortunately, tragically, this is in fact the equivalent of releasing the [Wallenberg] archives, because now we know all the personae involved, we know the time, the place, the method [of his execution] and there is very little else that we are going to get. "The fact that they have released it I think is now a gesture by Putin to get rid of this story," said Vajda, "to admit that this is what happened without having to admit that they had the archives". Judi Schiff of Melbourne - who, with stamp dealer the late Max Stern, successfully campaigned on behalf of the B´nai B´rith Raoul Wallenberg Unit for an Australian issue of stamps in 2010 commemorating Wallenberg - said: "Raoul Wallenberg is now an honorary citizen of Australia, Canada, the US, Hungary, and Israel. Perhaps the current leaders of these nations could act in unison to put pressure on Mr Vladimir Putin to produce the real account of what happened."